We tracked down these out-of-the-ordinary romantic breaks that would make excellent post-marriage escapes, or provide the perfect romantic interlude for lovers of all kinds. And here’s a secret: they needn’t be expensive. This gorgeous boutique resort has just one room. 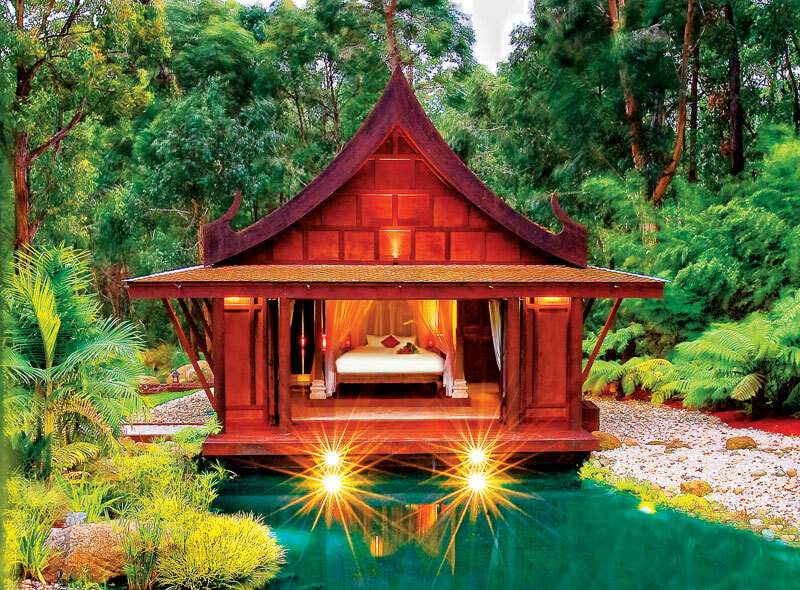 Set in the foothills of Victoria’s Dandenong Ranges but lifted straight out of Ubud, Balinese Retreat is a private A-frame timber pavilion with authentic fittings and fixtures, king-sized “opium” bed and a mosaic sunken bath. 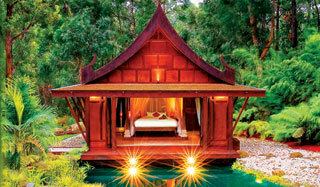 Dinners-for-two are set up under a thatch-roofed pagoda on the lake and in-room spa treatments can be arranged. Note: this is also the perfect spot for a proposal or big anniversary. 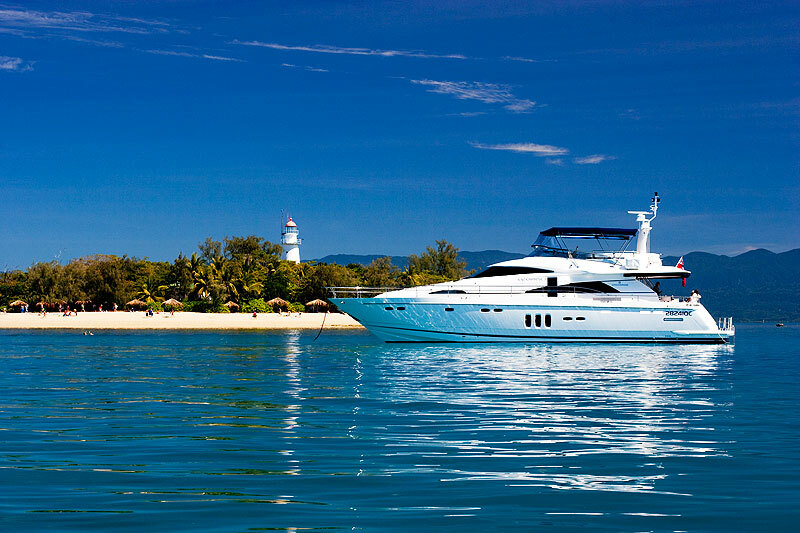 From $899 per night mid-week per couple. Dream destinations often inspire future home decorating ideas. For those who fantasise about an affluent shared future complete with country estate, Trelawney Farm gives a taste of what could be. 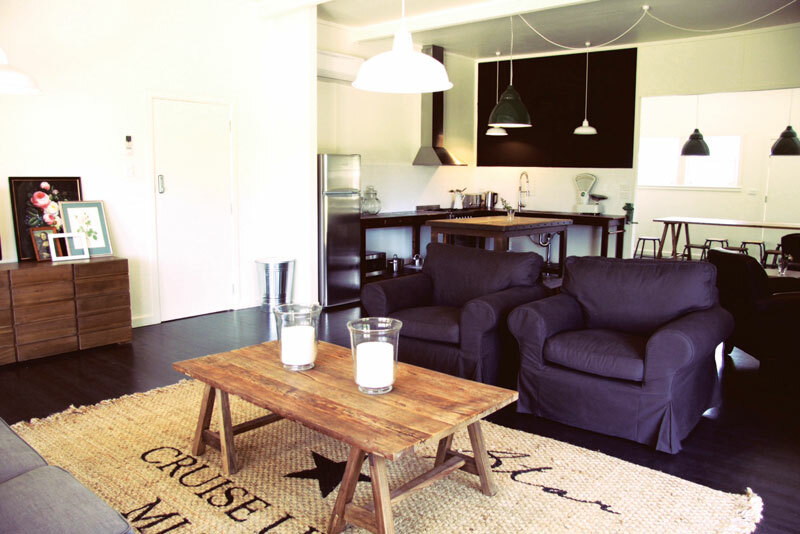 Tastefully decorated with a contemporary rustic feel, the cute old-school farmhouse is set on 25 acres of farmland along the Mudgee wine trail. Spend your honeymoon going for long strolls through the landscape, sampling local wines and regional produce, or fondling each other by the log fire. There are two adjoining homes, the Coach House and Barn End Cottage, which sleep up to 10, so it’s great for a family wedding party, but you could also greedily book out the whole place for yourself, which costs from $900 per night. There was a time when we would never have suggested a romantic getaway so close to Sydney’s Kings Cross, but Potts Point is a fantastic luxury destination unto itself these days. If remote resorts aren’t your thing, consider heading to the city for a week-long cultural fix. 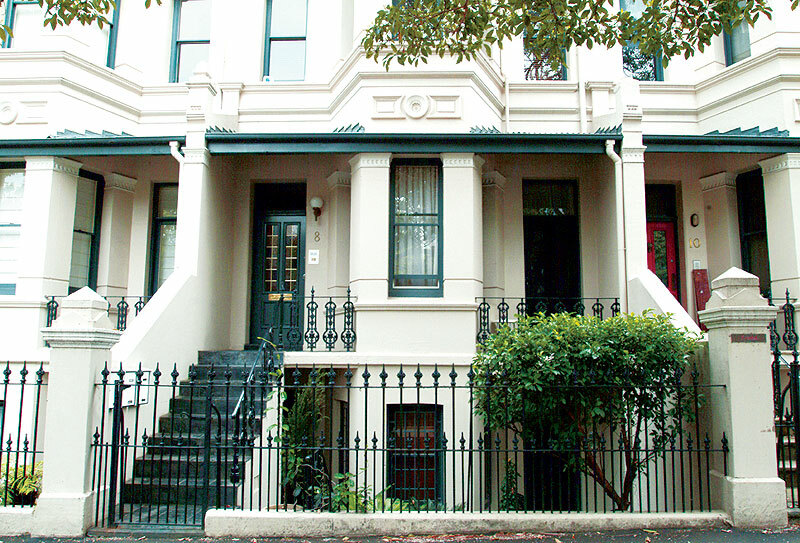 Inhouse Potts Point is a luxury apartment set on an entire floor of a grand Victorian townhouse. It’s intimate and private, and has views of the Bridge from a Juliette balcony. Go out for dinner each night in one the myriad fine restaurants nearby and max out your credit card in the expensive boutiques along Victoria St. From just $295 per night. The Barossa is a perfect honeymoon destination thanks to its excellent food and wine, and romantic rolling country vistas. It’s a good idea to base yourself at a renowned vineyard, because you really don’t need to leave your room for long if you don’t want to. The Kirche is a historic German Lutheran church located on the grounds of Charles Melton Wines. Think log fires, luxury bed linen and absolute privacy. From $395 per night, with a minimum two-night stay.